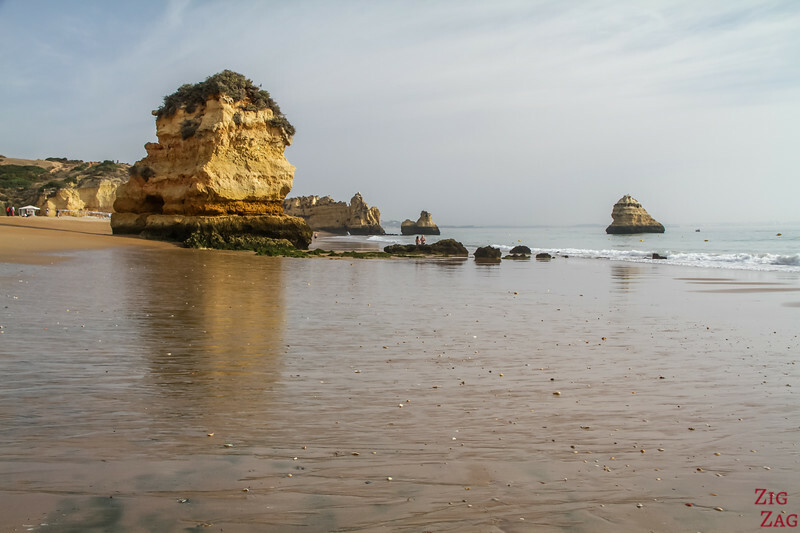 Praia Dona Ana Algarve is one of the most famous beaches in Portugal. 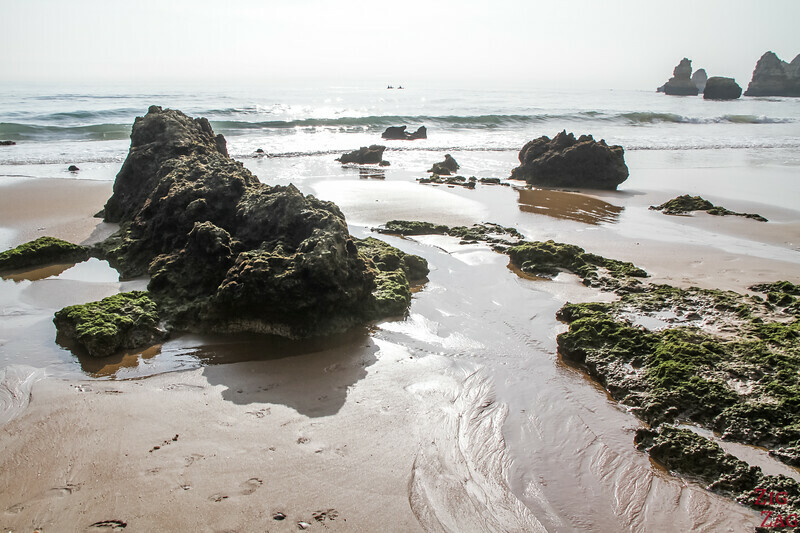 With a large sandy area and stunning sea stacks and cliffs, the beach has it all. 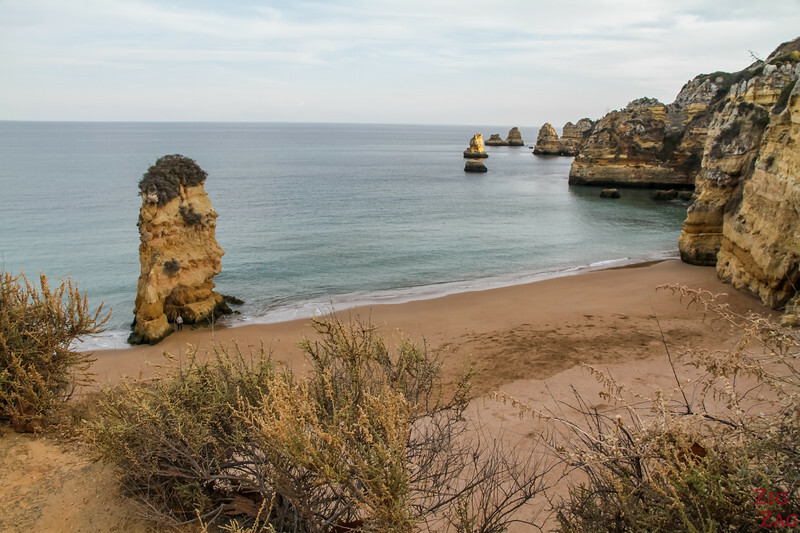 And Dona Ana Beach is just a 5 min drive from the center of Lagos Portugal! Discover it in photos and video. 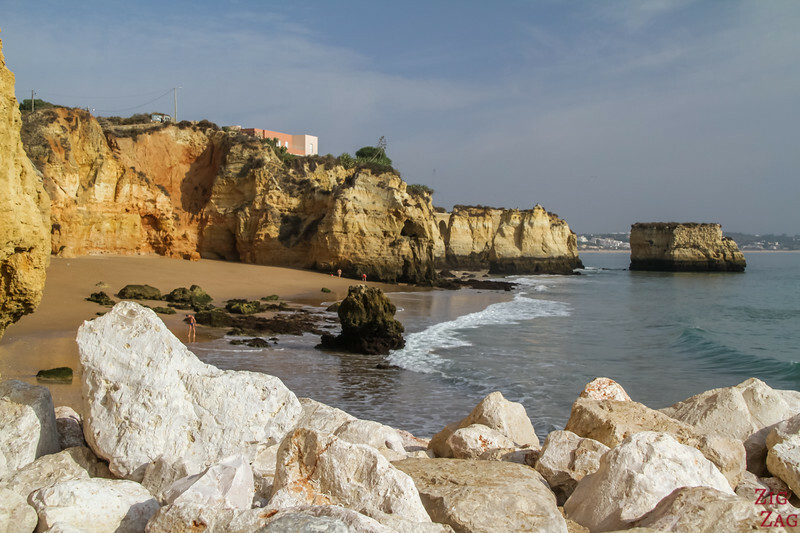 As you arrive to Dona Ana Beach from the parking, there is a platform where you can enjoy beautiful views of the beach, the cliffs and the sea stacks. 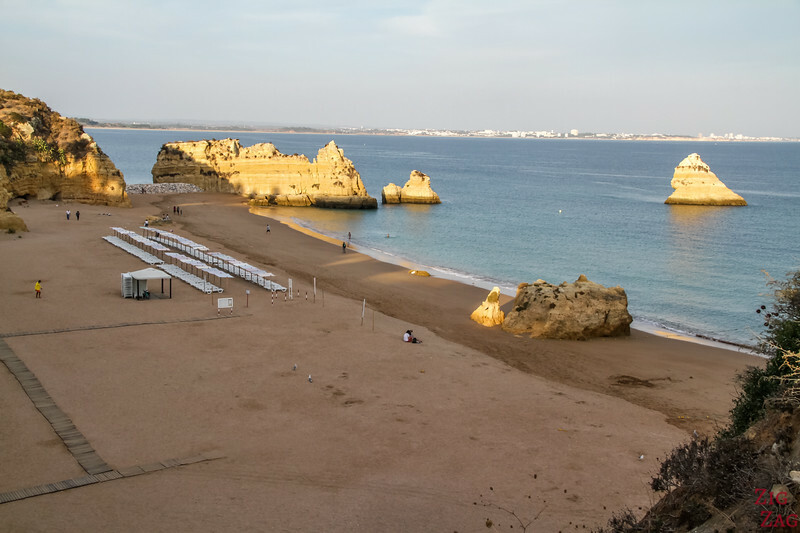 Praia Dona Ana Algarve is 160m long and has all the facilities. It is a very popular beach being located so close to the center of Lagos et being quite safe with small waves. 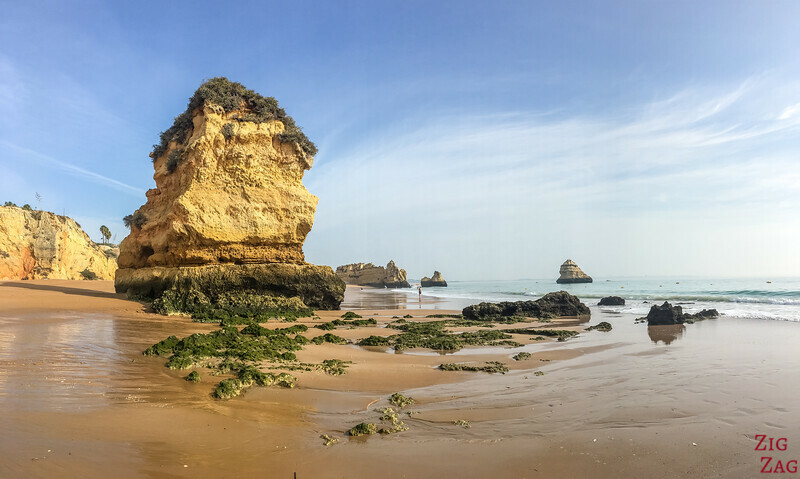 Towards the West, you can see the cliffs and sea stacks towards Praia do Camilo, another stunning Lagos beach which is a lot more secluded and smaller. 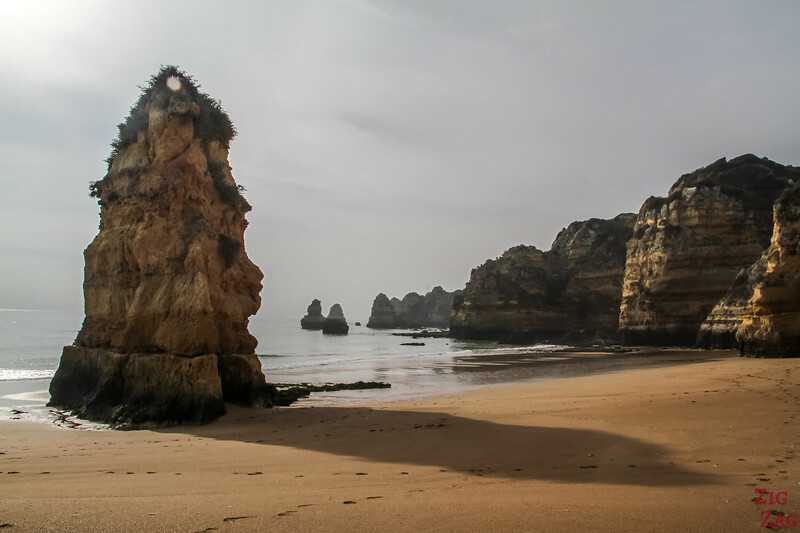 There are 2 staircases to access Praia Dona Ana Lagos. 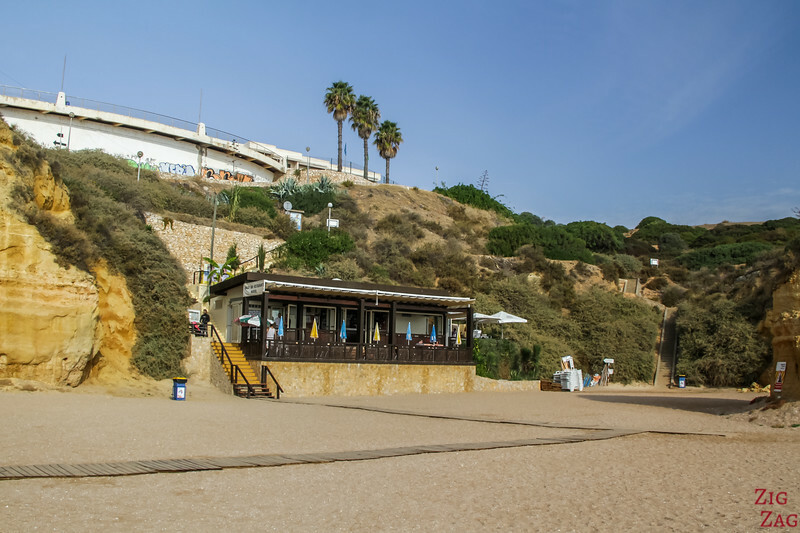 Like many of the Algarve beaches, there are a lot of steps to reach the sand! 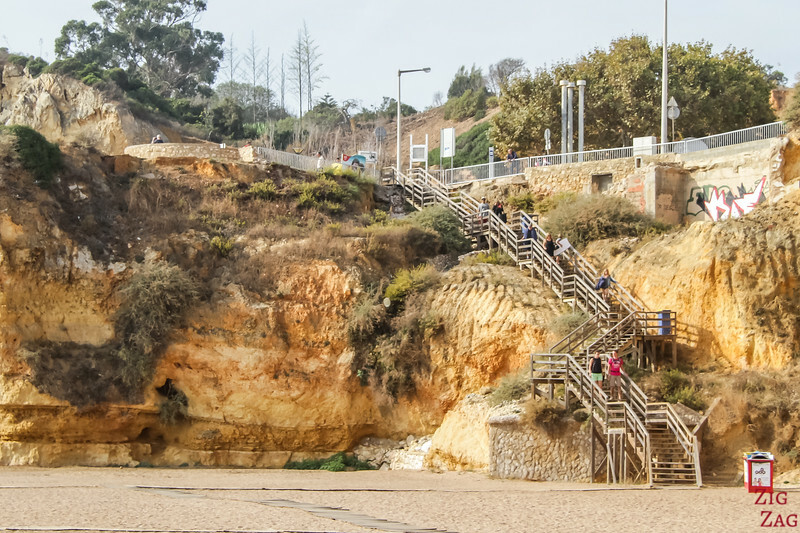 Here, at from the parking to the beach, you have 93 steps. 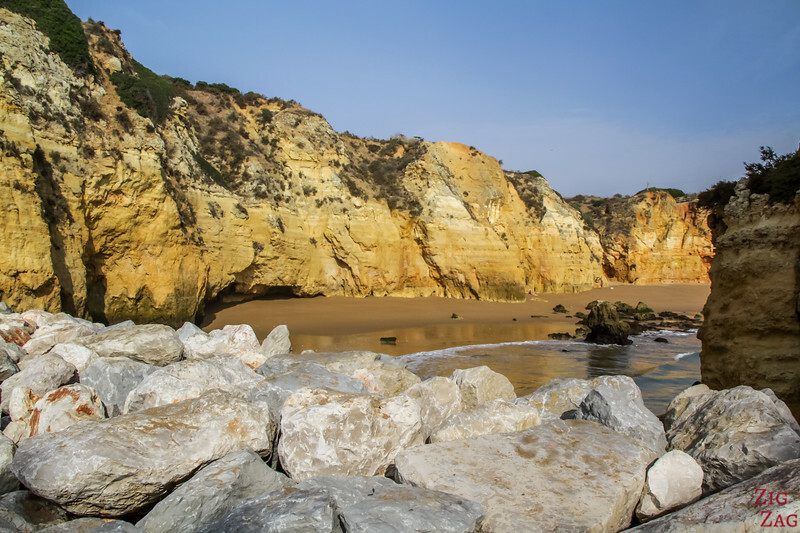 Once you are down you can explore the sea stacks, coves and cliffs. At low tide, you have access to a lot more! The rock formations are stunning with colors varying in the yellow, orange and red. This was my favorite. It looks so different from all the angles! I did not swim, but it is apparently a good spot for snorkeling. There is quite abundant fauna and flora underwater around more rocks. The sand at Dona Ana Beach is not the best. I have not found it very soft. But for those who like it, at low tide there are lots of shells! 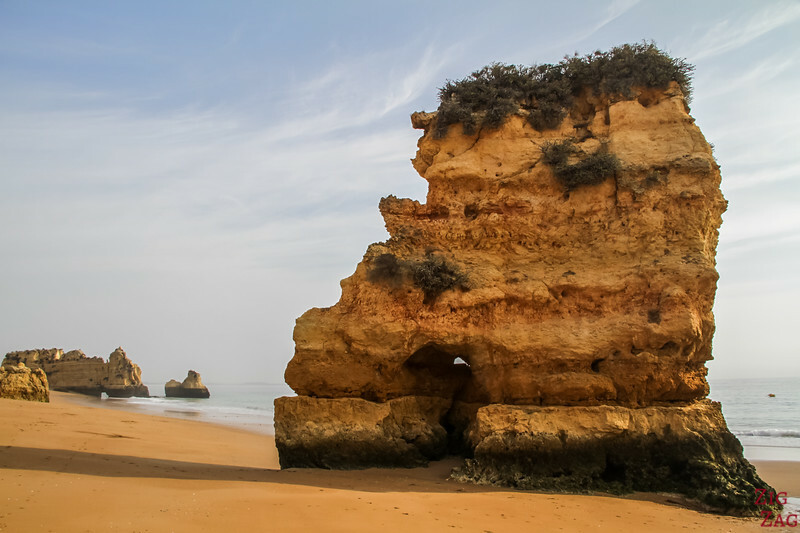 At the East Tip of Praia Dona Ana Algarve Beach, there is a beautiful rock formation that looks like a wall but with a small arch under it. The proportion is really surprising. 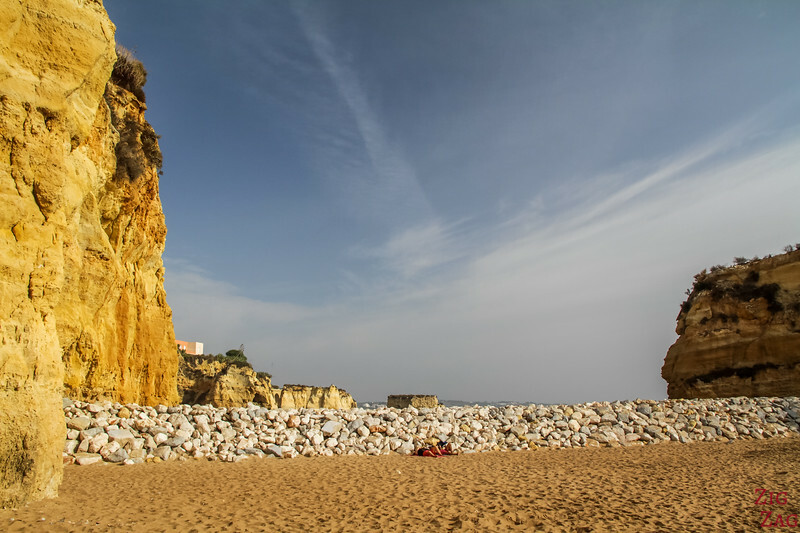 At the end of Praia Dona Ana Portugal, has been erected a king of sea wall. On the other side you can see the small cave beach which appears only at low tide (did not find its official name). As you can see there is a small sea cave that is accessible at low tide. Great to protect your self from the heat. But it gets filled up at high tide! 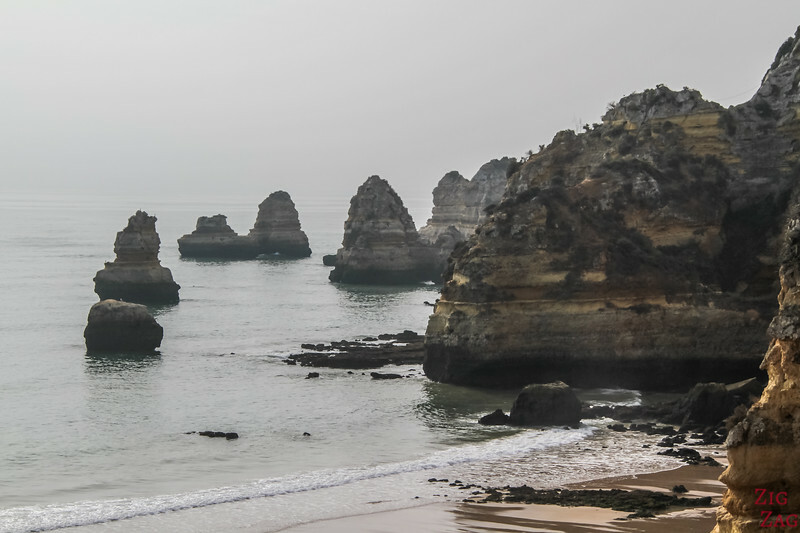 And in the continuity is Praia do Pinhao, a secluded beach that so far has been protected from the tourism. In summer the parking would get full quickly. Take the bus, the touristic train or enjoy a walk! 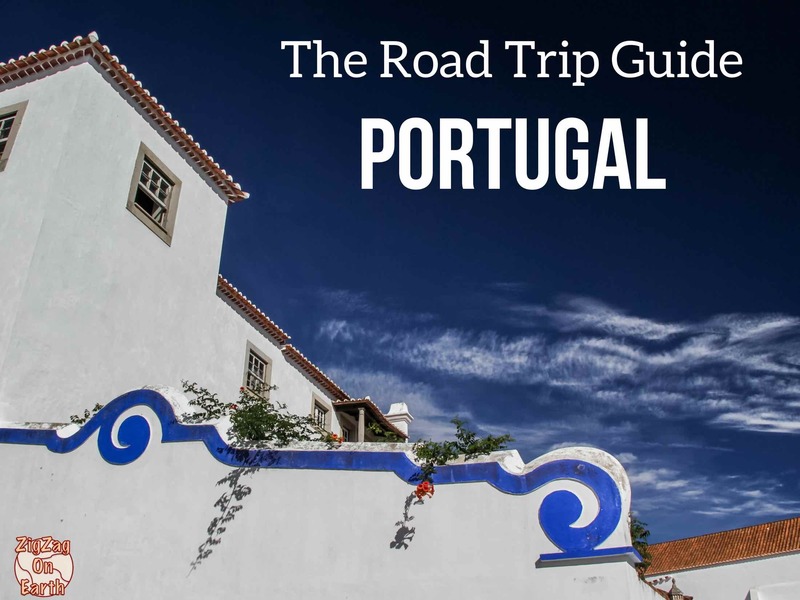 5 mind drive East of the famous cliffs of Ponta da Piedade. 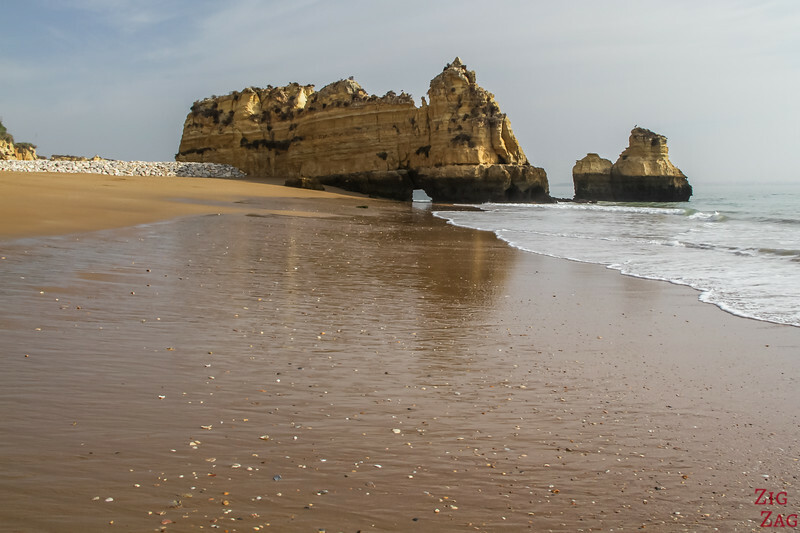 There are a lot of hotels and appartements right next to the Praia Dona Ana and even more just 5 min walk away. 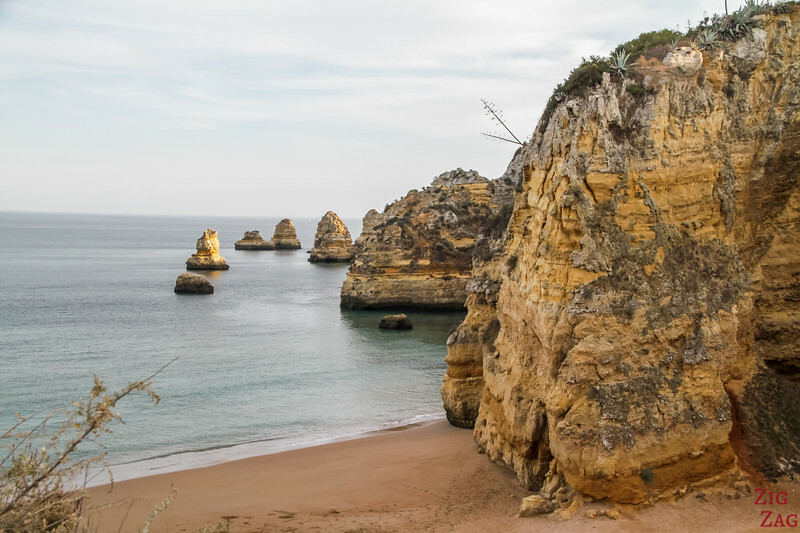 It is a great location to have an easy access to some of the most beautiful spots in Algarve. The links below are affiliates. When you use them to book your accommodations anywhere, I get a small commission which helps me continue this blog and provide you with photos and info to plan your trips. Thanks for the support. 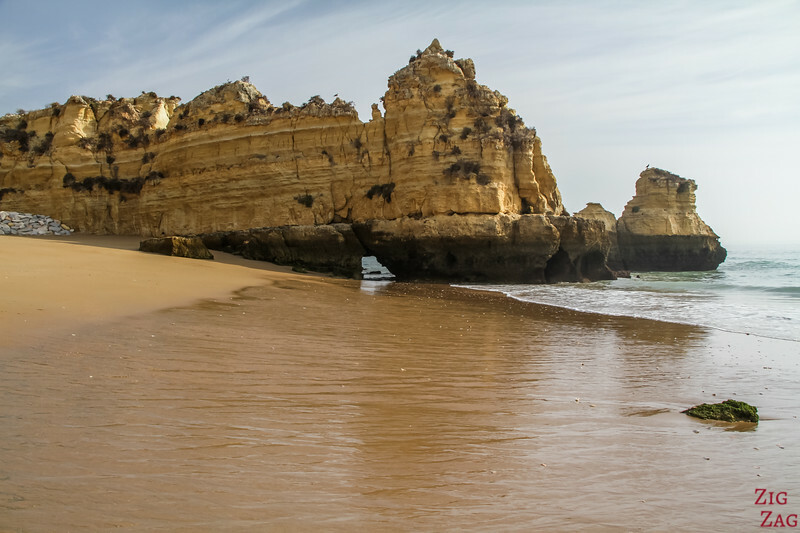 Are you adding it to your list of Algarve Beaches not to be missed?